Obie's Worms sustainably rears insects as pet treats. The market for sustainably-farmed insects as pet treats is broad. The Obie’s team needed to hone in on the largest and most lucrative market opportunity for their product. 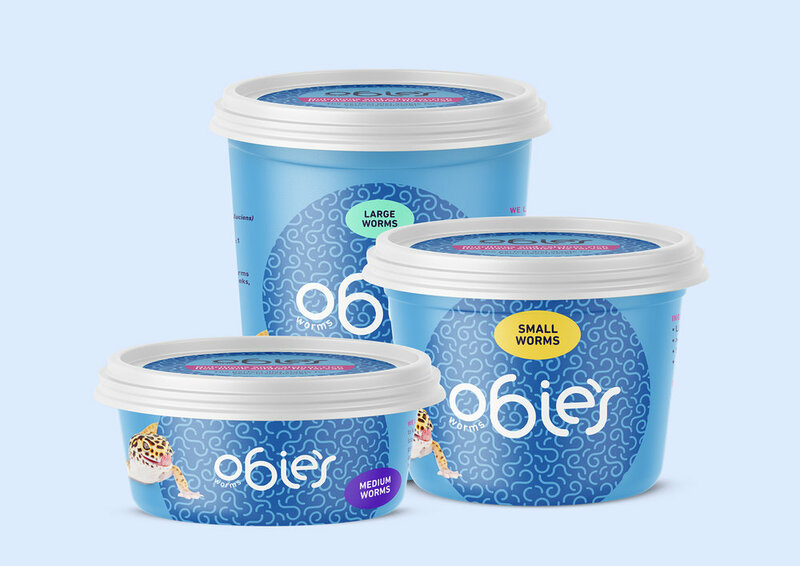 We reviewed and assessed Obie’s market hypotheses through primary and secondary market research (should they aim their pet treats at reptile and amphibian owners, or backyard chicken owners? ), presenting a solid case for targeting people with cold-blooded pets. We leveraged these market insights to develop a unique and playful-yet-modern consumer brand, and created a fun and effective ecomms touchpoint aimed at reptile and amphibian pet owners to help the Obie’s team pursue this audience.